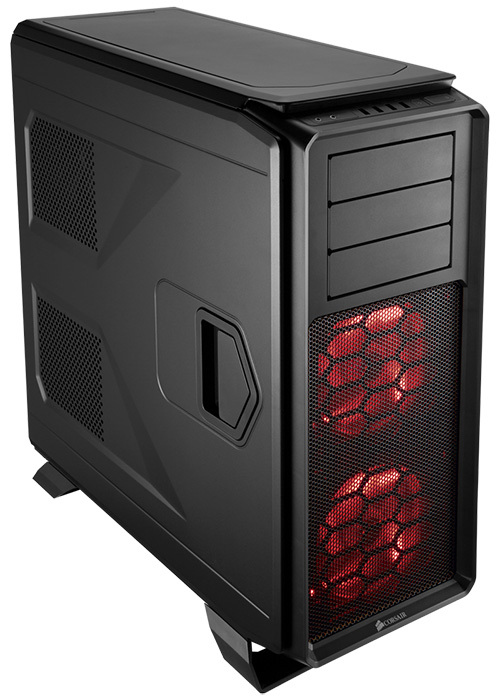 Corsair's recent Obsidian Series chassis have been good, solid enclosures, but they may be deemed a little staid among more flamboyant gamers. 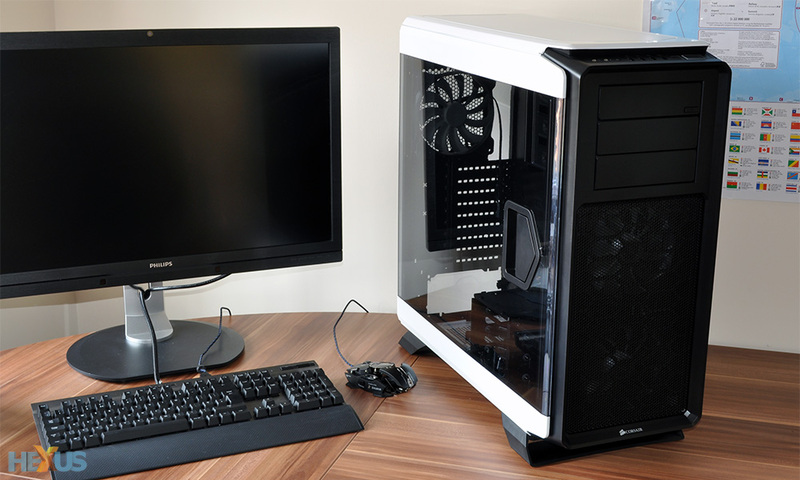 The 350D, 450D and 750D all look alike, and if you prefer gaming rigs that are different to the norm, you may be better off perusing the Carbide and Graphite Series product lines, both of which have repeatedly demonstrated eccentric tendencies. 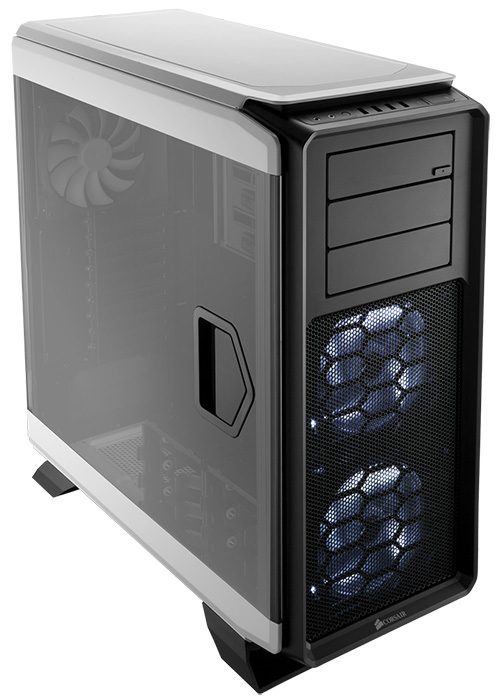 The Graphite 230T and Carbide Air 540 are two recent examples, but the quirkiness dates right the way back to the Graphite 600T, which in our estimation is still one of the best-looking PC chassis to date. Today, we get to take a closer look at the 600T's long-awaited successor, the Graphite Series 760T. Here it is, standing 569mm x 246mm x 564mm in size and heading to retail stores priced from $180 (approximately £135 inc. VAT). It's no shrinking violet and Corsair's big, bold approach is designed to show off one exclusive feature: a transparent side panel that gives a "cinematic view" of your system's components. The huge window is the key selling point, however getting it to work as intended wasn't entirely straightforward. The 760T was originally scheduled to debut in October 2013, alongside the smaller 230T, but early attempts had problems with flow marks and clouded windows. Almost six months later and at the end of what was certain to have been an expensive manufacturing process, Corsair has settled on a polycarbonate panel that looks absolutely flawless. The quality of the window is all important and it really does look fantastic. There's a lovely dark tint throughout and, if showing off your hardware is high on your list of priorities, the 760T is going to be one of the best options available. And there's more to the side panels than first meets the eye as each is attached using a pair of rear hinges, allowing the doors to swing wide open for easy internal access. It's a clever idea, and for those who are short on space, we like the fact that the door can be lifted off its hinge and removed completely. The theory is sound, yet it isn't quite perfect in this first iteration. Polycarbonate is ideal for a transparent panel, but of course it isn't as robust or rigid as steel. There's noticeable flex in the panel whenever the door is opened and the lightweight feel doesn't fill you with confidence. Furthermore, when the door is closed, a central latch helps keep it secured, while the top and bottom are held in place by small magnets. This system works well enough, but we would have preferred a full-height latch for a better overall seal. Corsair has succeeded in creating a fully-windowed panel that look fabulous, however the same level of attention to detail hasn't been applied elsewhere. The front of the chassis, in particular, looks out of sorts with three plastic 5.25in drive bay covers and a pop-out mesh filter covering the front intakes. We wouldn't go as far as to say it looks dull in comparison to the sides, but the plastic front doesn't do anything to elevate the overall aesthetic. There's no denying we love the "cinematic" window, however the sharp angles of the 760T aren't quite as fluent as the smooth curves of the 600T. Based on looks alone, we feel the latter still holds an advantage. 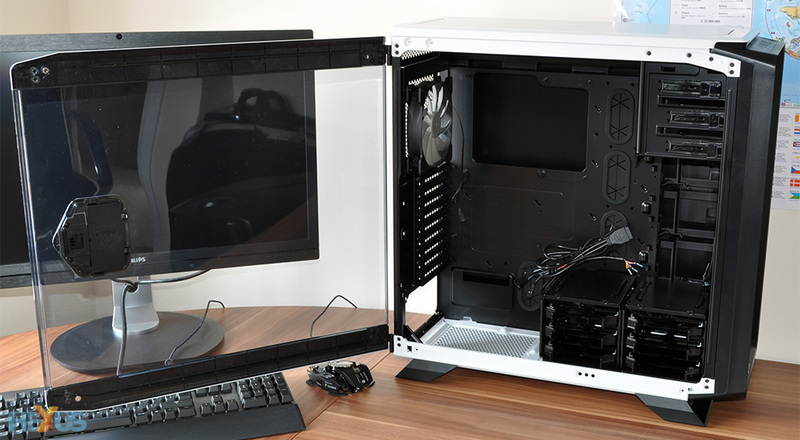 Appearance aside, it is clear that the 760T is a Graphite Series enclosure for enthusiasts. 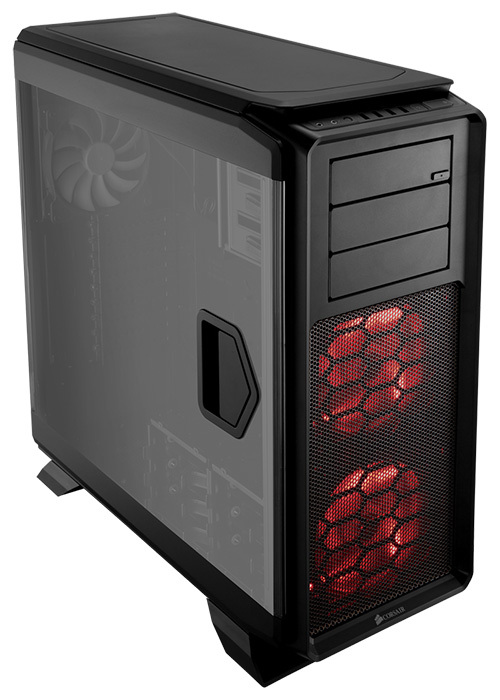 The dimensions alone are telling - this is a full-tower chassis standing over 60mm taller than the 600T, meaning plenty of room for all your hardware. Rolling off the specification sheet reveals nine expansion slots, 13 storage bays, seven fan mounts, room for multiple radiators and a built-in fan controller. The fan controller is integrated into the front I/O panel and acts as a toggle for up to four fans to be switched between 7V (low speed) and 12V (high speed) operating modes. Joining the fan-control button are a pair of audio jacks, two USB 2.0 ports, two USB 3.0 ports and dedicated backlit power and reset buttons. Corsair has most bases covered, though at this price point we expected all four USB ports to be of the SuperSpeed variety. Speaking of price, it's worth noting that the full-tower Graphite is available in a couple of flavours. 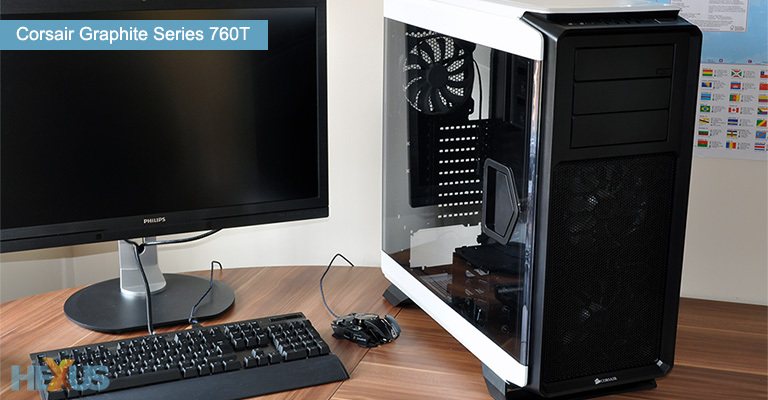 The Arctic White 760T that's on the test bench is priced at $190, an all-black variant will be priced at $180, and there will also be a Graphite Series 730T heading to retail for a more agreeable $140. The latter is essentially the same underlying frame, only with a steel side panel in place of the polycarbonate window and no fan controller installed as standard. Keeping cables neat and tidy is going to matter in a chassis as transparent as this, though there's no cause for concern around back. 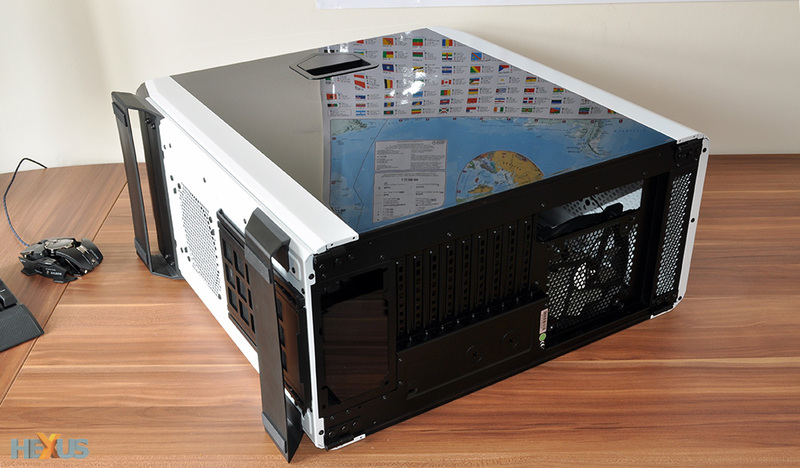 For the rear side panel, Corsair has opted for an opaque black finish that's very, very reflective. It's almost mirror-like and provides an extra bit of wow factor. 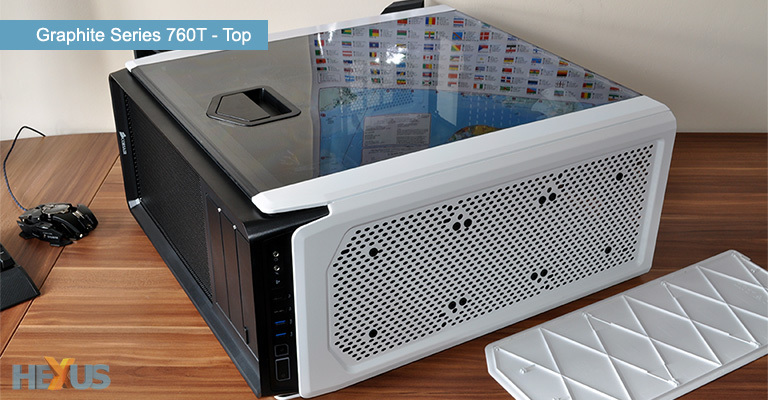 The 760T is undoubtedly one of Corsair's most unique exterior designs, however there is a small caveat regarding availability that eager buyers need to be aware of. We're told that retail shipments have been delayed, so while the NDA on reviews has been lifted today, don't expect to see the 760T appear in stores until late April at the earliest. That's a bit of a wait, so in the meantime let's check out the interior space.